You can send flowers from AMAPOLA BLOSSOMS FLOWERS to any funeral home listed below. Please refer to this list for the names, addresses and phone numbers. When it's difficult to say words of sorrow or condolences let AMAPOLA BLOSSOMS FLORIST help Send Flowers Via FUNERAL HOME FLOWER DELIVERY. Did you know that flowers have healing powers? Funeral Florists Prince George BC: AMAPOLA BLOSSOMS FLORISTS, FLOWERS, ROSES, Prince George BC. Prince George BC Funeral Flowers: AMAPOLA BLOSSOMS. 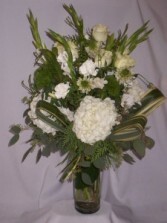 Prince George BC Funeral Florists: Funeral Home Flowers Prince George BC:AMAPOLA BLOSSOMS. Prince George BC Funeral Home Flowers: AMAPOLA BLOSSOMS. Funeral Flower Delivery Prince George BC: AMAPOLA BLOSSOMS. Prince George BC Funeral Home Flowers Delivery: AMAPOLA BLOSSOMS. Funeral Florist Delivery Prince George BC: AMAPOLA BLOSSOMS. Prince George BC Funeral Home Florist Delivery. Funeral Flowers Delivery Prince George BC: AMAPOLA BLOSSOMS. Prince George BC Funeral Flowers Delivery: AMAPOLA BLOSSOMS.